What is ‘Deals & Dollars Weekly’? 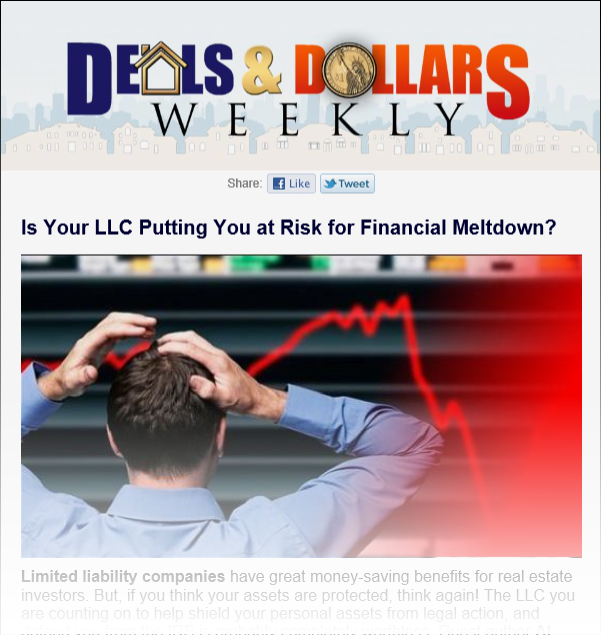 Lance Edwards, creator of the Multifamily Success and Raising Private Money systems and best-selling author of How to Make Big Money in Small Apartments, is proud to announce the launch of his brand-new newsletter, Deals & Dollars Weekly. 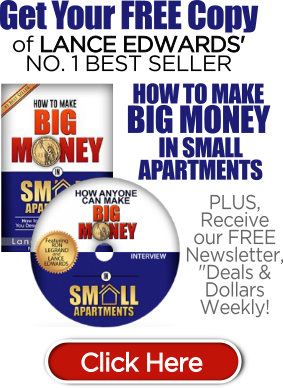 For years, Lance has illustrated how the untouched market of small and mid-sized apartments is a gold mine for people just like you—using no money of your own, no credit, and no real estate license required to make exponentially more money than you are right now. Lance’s students have demonstrated his system works, closing five-figure deals in as little as one month and living the lifestyle they always imagined. And now you can gain unprecedented access to the secrets they already know. And did we mention it’s free? Click here to subscribe. Each issue is delivered directly to your email inbox, and is chock-full of hints, tips and features on how to build wealth by investing in the proven sweet spot of real estate deals: multifamily housing and small apartment complexes. Learn how to attain economic security for you and your family while working on a part-time basis. This important free weekly newsletter will help you develop the skills and the mindset to succeed. I would hate for you to miss out on this important educational opportunity. Don’t miss a single issue of this valuable publication. Click here to get your free subscription to Deals & Dollars Weekly today.